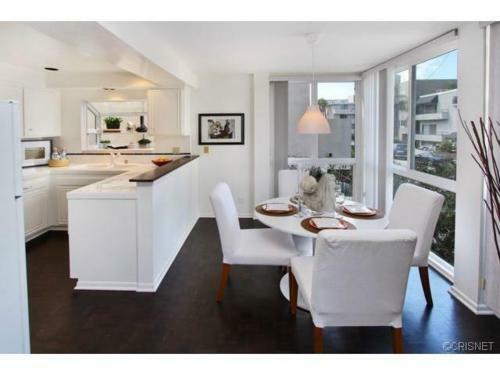 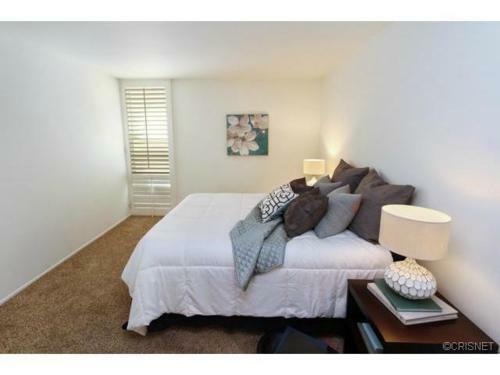 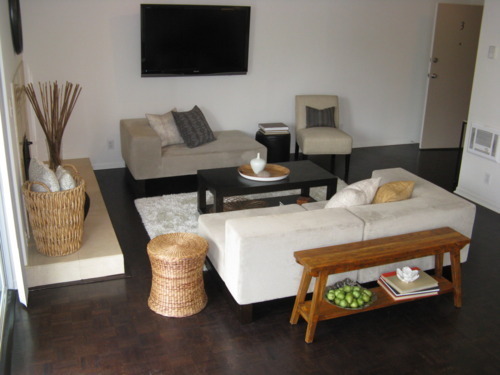 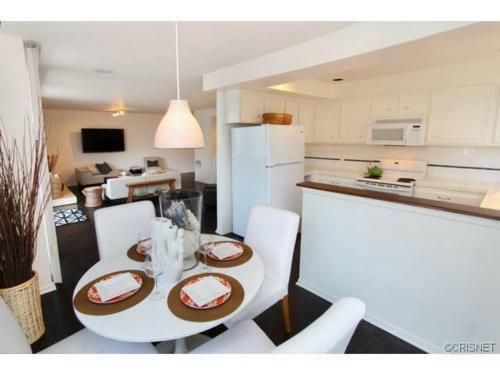 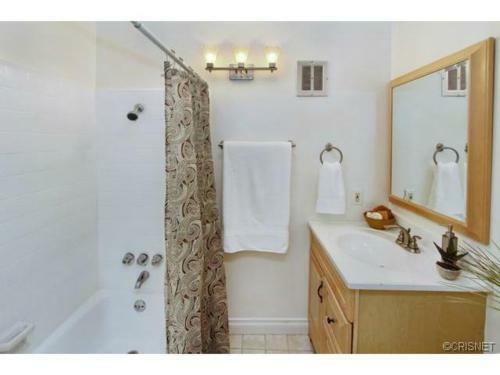 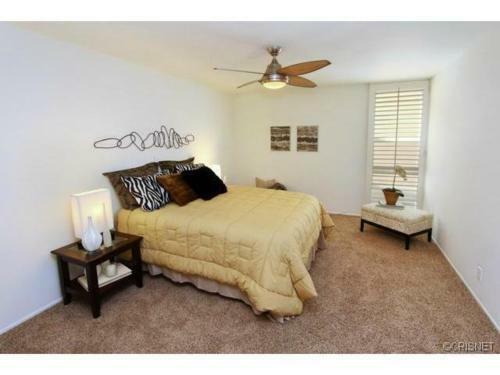 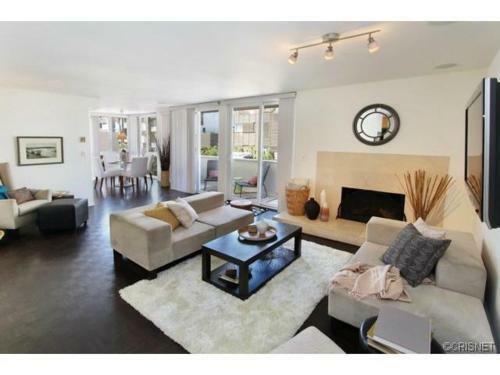 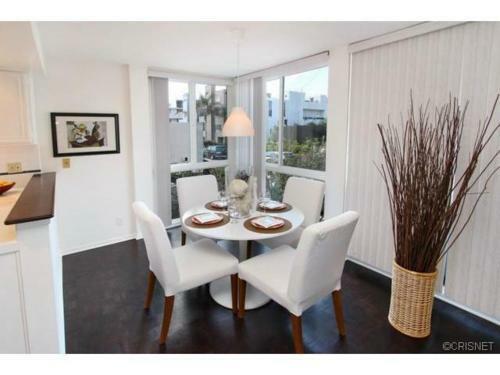 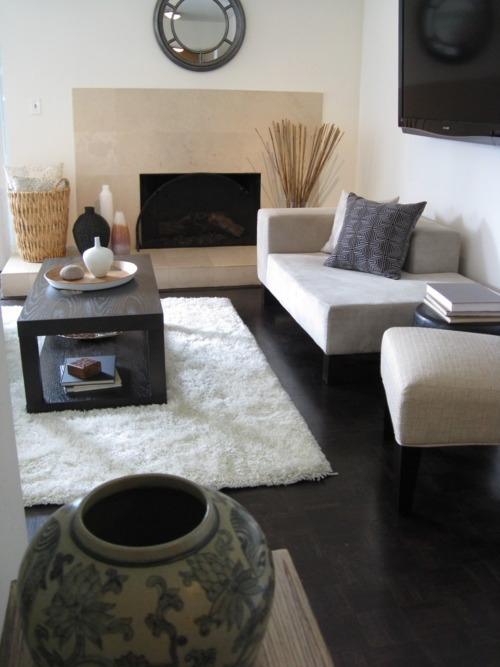 am loving our latest Madison Modern Home staging — a Marina del Rey Peninsula condo just steps from Venice Beach. 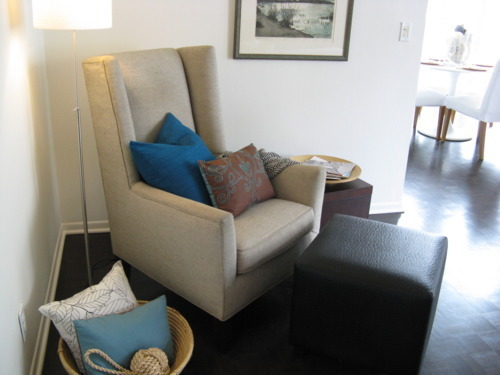 We staged it in a mod beachy way, without being “themey:” An overall color scheme of neutral sand tones with muted aqua accents, shells in glass jars, a rope knot accent, small nautical touches like a round mirror resembling a ship’s wheel, a shell-white dining table and chairs. 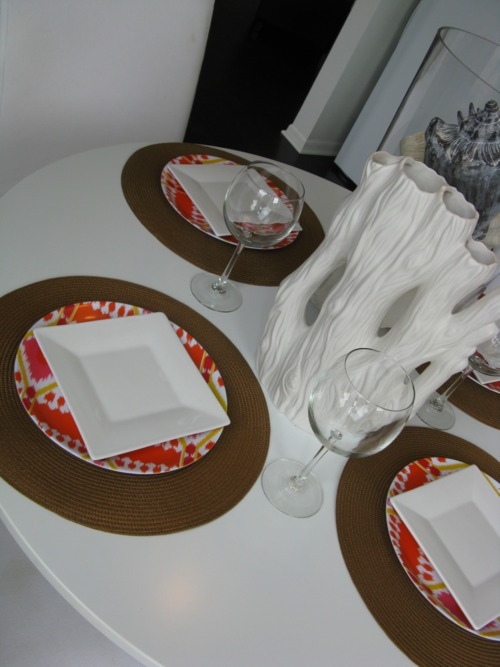 Then we added a white shag rug, stacks of coffee table books, modern wood-grain trays, coral branches, bright orange ikat accent plates and nubby spa linen pillows. 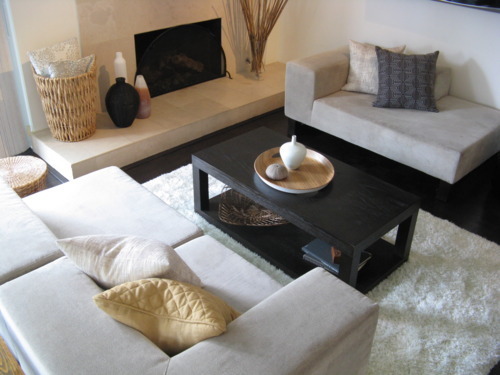 We replaced the main living area’s lighting with clean modern-lined fixtures and configured our sectional sofa to feature the limestone fireplace — complete with soft throws and pillows to snuggle into on cooler nights.